Love is in the air! We have a sweet, cuddly Muse for you this week. And because it's the last Monday of the month, we have the first Guest Muse of 2015! She's a frequent Muse participant and is often voted into the top 6. 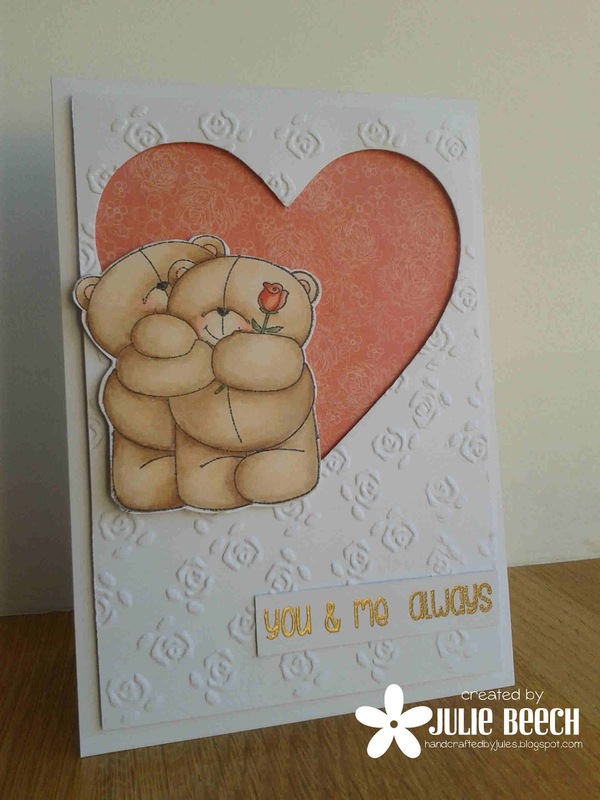 Her card is full of inspiration - texture, image, shape, colour and technique and we just can't wait to see where it takes you! Here's your Muse for this week, Julie B! Eee! this is just too sweet. I definitely have a few things that come to mind.